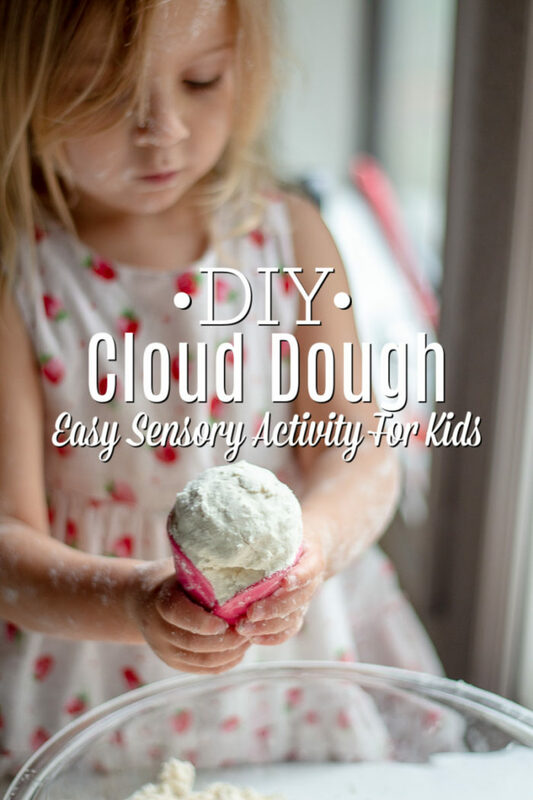 This super easy cloud dough sensory activity will entertain kids for hours. They will have so much fun creating, building, and sculpting fun creations keeping them occupied and dare I say, quiet as they busily work. 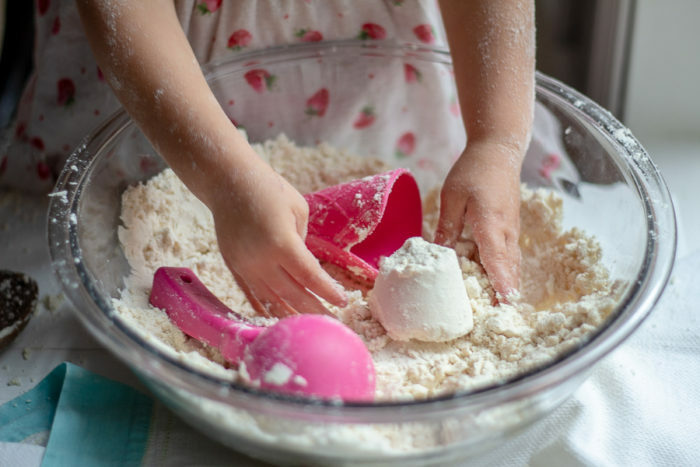 For this recipe you will need… Flour, oil, essential oils (optional), and a few fun tools to play with. This post contains affiliate links. Affiliate links help support A Blossoming Life at no extra cost to you. We only recommend products we personally use or would use. There is this local toy store we love to visit during the gloomy winters here in Oregon. August’s favorite thing there is the kinetic sand – she just loves to build with it. But holy cow, is it expensive for how much you get! Sensory activities are activities that help stimulate a child’s senses: touch, smell, taste, sight, and hearing. They also help encourage children to learn, explore, discover, and create through play and using these senses. I also love these kinds of activities because they usually keep kids occupied for a long time, without the use of a TV. August sat and played quietly for like, an hour. When does that ever happen? 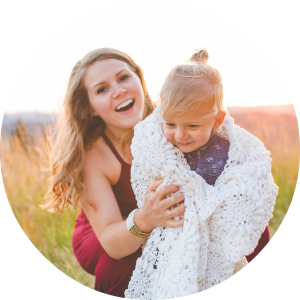 Recently, I had heard that kids today are having a harder time being able to focus for periods of time because they are so used to being overstimulated by TV or games. Whoa. Decreasing TV and increasing play has been on my heart for a long time, but I still need a reminder. 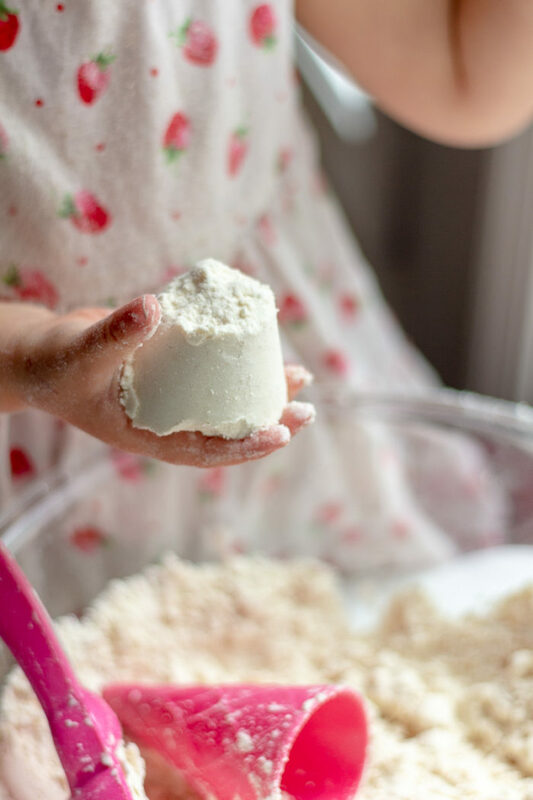 We still watch our fair share of TV, but I’ve been trying to be intentional about incorporating more sensory activities and play-based learning, like playing with this cloud dough, into our day-to-day. I think we have a good balance… most days. August is a very enthusiastic child. She had it all over her face, and dress, and hair. Was it worth an hour of quiet time? Why yes, yes it was. Playing with this outside is also a good idea. It was really fun to use sand toys (like these), ice cream cones and scoops (like these), and just regular utensils in the cloud dough! Let them explore with their senses and let them be without interference. It’s easy for us parents to want to control and discuss with our kids while they play, but unstructured play is good. Help teach them the alphabet by showing them how to trace letters in the sand. I love this cloud dough! It is such a fun activity that your kids to learn and play. Clearly, I love activities that help kids learn, while keeping the noise and chaos to a minimum. 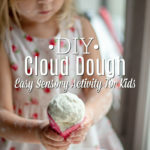 Have fun making this super easy cloud dough sensory activity. It will entertain kids for hours as they work on creating, building, and sculpting fun creations. In a measuring cup, add essential oils to oil and mix. In a large bowl or plastic container add flour and pour oil over flour. Mix until well combined and crumbly. Cover with a tight fitting lid when not in use. You may have to add more oil depending on the flour you use. This will last a few months properly stored. If it starts to smell funky, throw it out. Is this something your kids would love? Great idea! I don’t have any wee kids at home anymore, but this is exactly the kind of thing my daughter liked to do . . . just exploring textures. Once I spread two different yogurts on a big plastic table, and she enjoyed “finger painting” with them. What I great idea Priscilla! My daughter would love that. This dough looks like so much fun! My daughter will have a blast–oh who am I kidding?! I plan on playing with it to! 😊. Thanks for sharing! Hahaah yes Jessie!!! We have so much fun playing with it together.